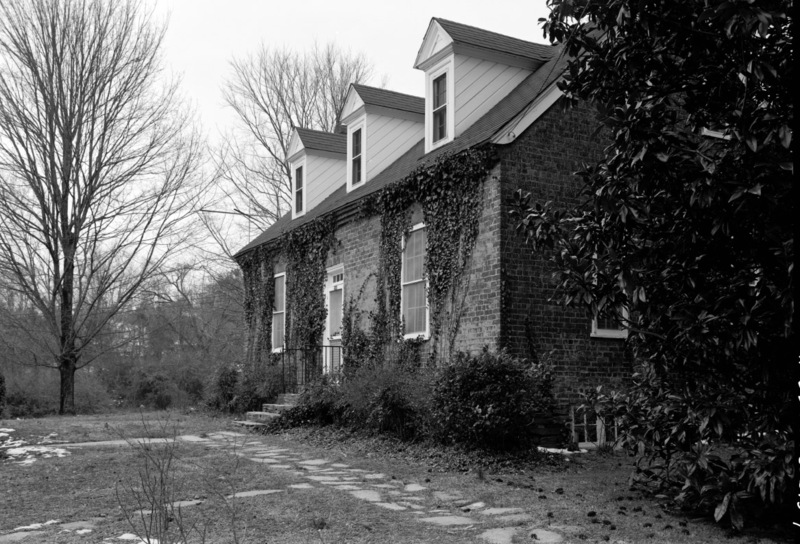 The Berry Brick House was built about 1805 for Mrs. Rhody Berry, the mother of John Berry, a noted local brickmason. Tradition has it that John Berry built the house, but in 1805 Berry was only seven years old. Therefore it is more likely that the house was constructed by neighbor Samuel Hancock, a master brickmason who later became John Berry's partner. The house remained in the Berry family for 131 years. 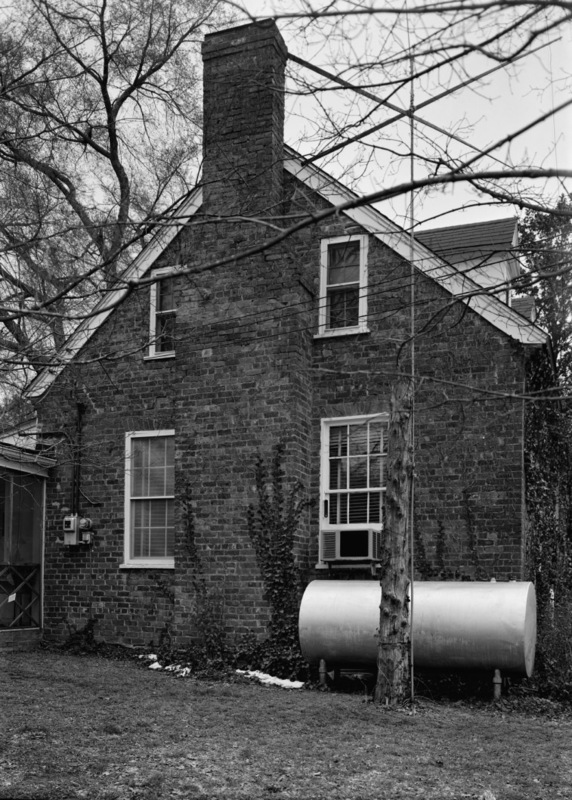 The earliest surviving brick residence within the original town, the Berry Brick house measures 37 '8" by 20' and is a simple, Federal-style, one-and-a-half-story structure. The house is three bays wide with a rubble- stone foundation, one-to-five common-bond brick walls, and flat brick arches atop the six-over-six wood-sash windows. The eight-panel door, centered on the façade, has a four-light transom. Three pedimented dormers on the façade have flush sheathing and four-over-four wood-sash windows. There is an interior brick chimney in the right (east) gable and an exterior brick chimney in the left (west) gable. There is a shed-roofed frame wing at the rear and hip-roofed porch at the left rear (northwest) was enclosed in 1988 [HDC]. The original portion of the house consists of three rooms and a narrow center hall on the first floor and two rooms and a hall on the second floor. A simple stair rises from the rear of the hall. The two small rooms on the east side share a chimney and boast corner fireplaces. Simple Federal style trim remains on the interior. 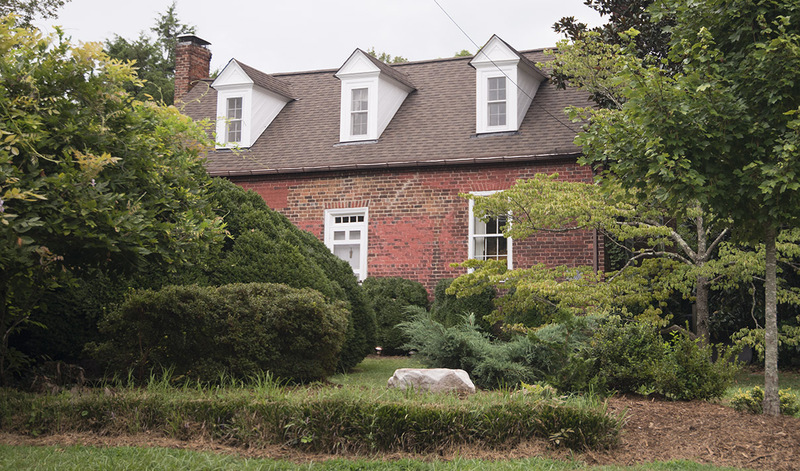 The Berry Brick House was built about 1805 for Mrs. Rhody Berry, the mother of John Berry, a noted local brickmason. Tradition has it that John Berry built the house, but in 1805 Berry was only seven years old. Therefore it is more likely that the house was constructed by neighbor Samuel Hancock, a master brickmason who later became John Berry's partner. The house remained in the Berry family for 131 years until 1936 when it was sold to Mr. and Mrs. F. S. McLarty. The McLartys made several changes to the house including the addition of two shed-roofed dormers on the rear elevation. It is also possible that they added the dormers on the facade. The McLartys sold the house in 1943 to Mr. and Mrs. F. Ross Porter. This is the only old solid brick dwelling within the original limits of Hillsborough. It was built sometime between 1805 and 1815 for John Berry's mother, Rhode. The tradition that John Berry built the house is certainly erroneous, since he was born in 1798, but he might, if it was built toward the end of the period, have helped in the work. The house was a simple rectangular plan with an A-roof. We would now call it story-and-a-half, the upper story having dormer windows. The pleasing rose tone of the brick results from the remains of a coat of red paint. The venerable box walk, planted some one-hundred-fifty years ago, originally continued to the front steps, and was later shortened to give access to the front lawn. A planting of sweet shrub and lemon lilies remains from the old garden. Old roses clamber over the shed at the rear. The well-house is an attractive feature, though not a copy of the original one. Mr. and Mrs. Ross Porter are the present owners of the Berry Brick House.